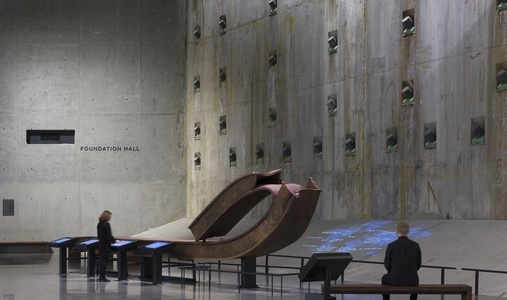 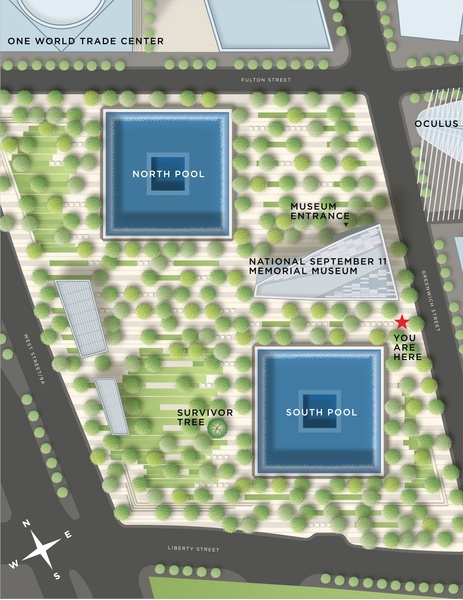 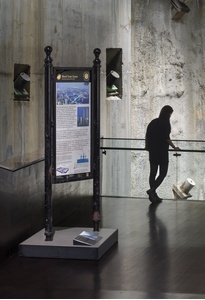 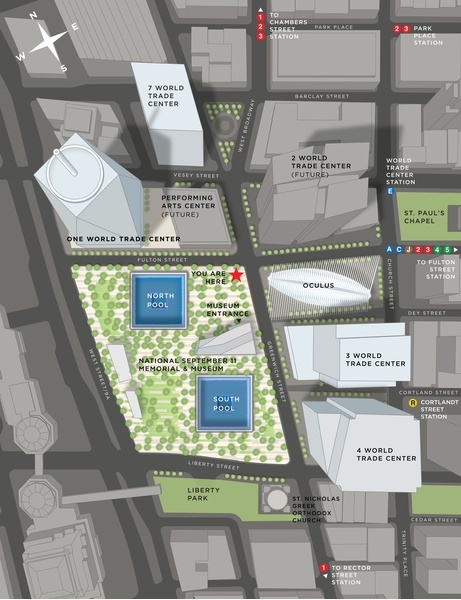 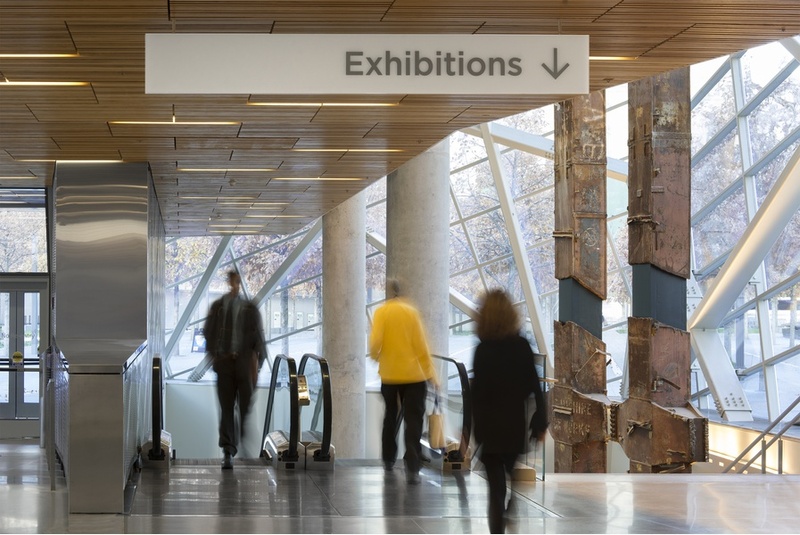 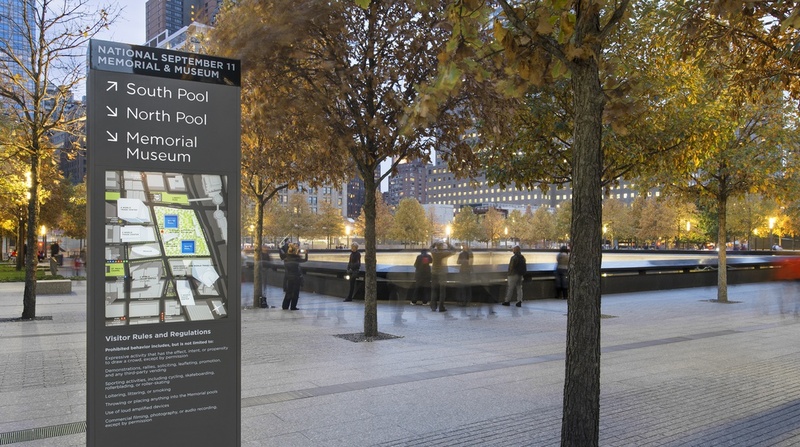 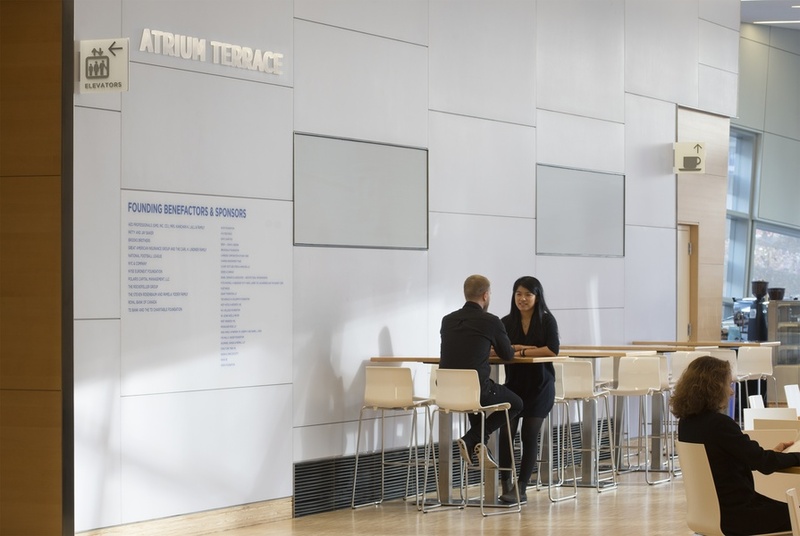 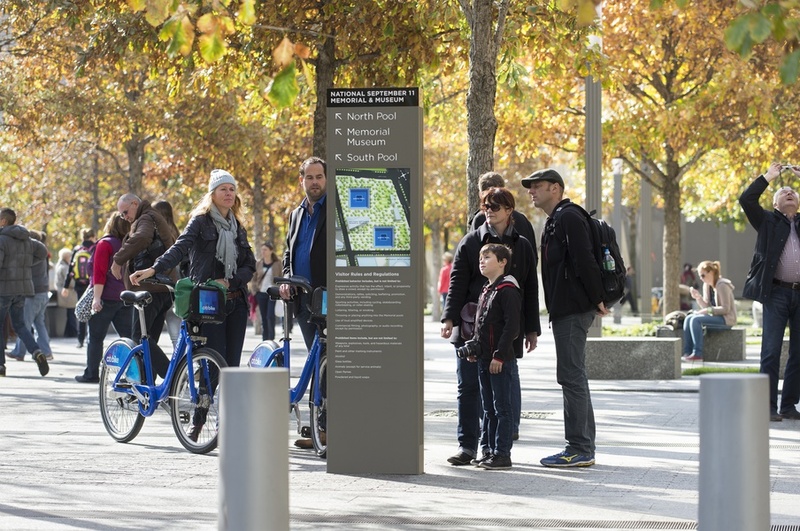 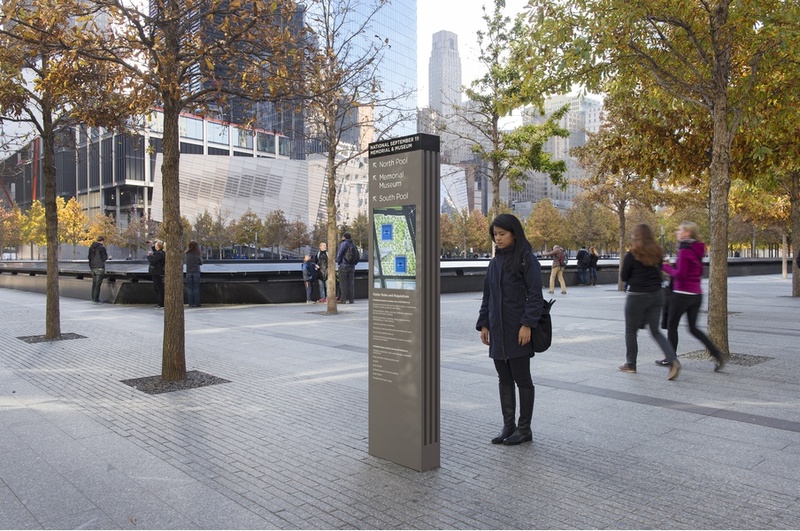 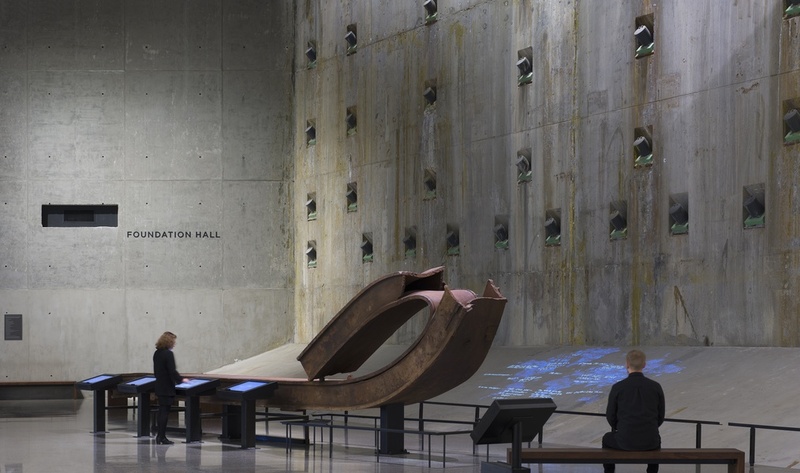 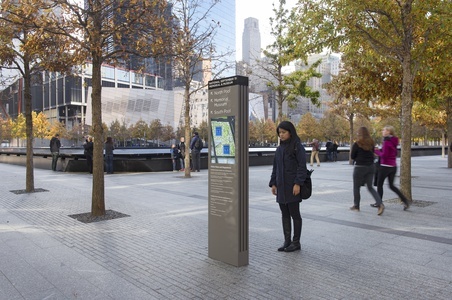 Since 2003, C&G Partners has served on the multi-agency design team for the National September 11 Memorial & Museum, creating wayfinding signs, directional kiosks, and site maps. 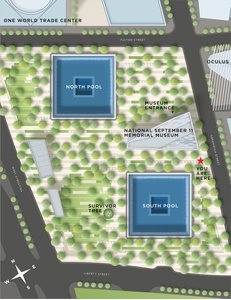 The Museum and Pavilion opened in May, 2014, with a sign system using blackened stainless steel elements on unfinished concrete within the Museum, and white glass panels and 3Form letters in the Pavilion. On Memorial Plaza, freestanding emissary directional kiosks were designed to relate materially to the site furniture. 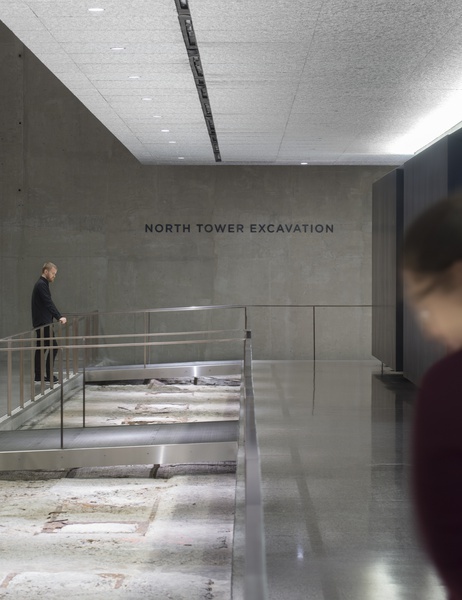 One of the Museum’s central artifacts was, coincidentally, designed by the firm as part of a Lower Manhattan walking tour for Heritage Trails NY. 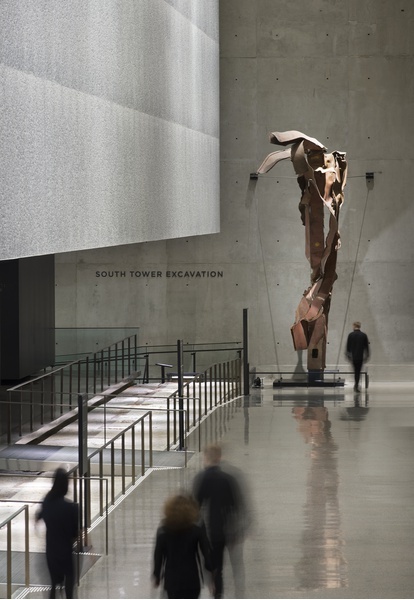 Constructed of durable porcelain enamel and cast-iron fittings, and virtually unscathed today, it stands in contemplative contrast with the Museum’s powerful displays of the Towers’ remains.